The Parc del Segre can be used for canoeing in calm or rough waters, or for slalom, whether recreational or competitive. At the end of the 20th century, the growth of the city and the urban planning required new developments to be built around the river Valira. Valira is a riverside park, located on the left bank of the Valira River as it flows through La Seu d’Urgell. 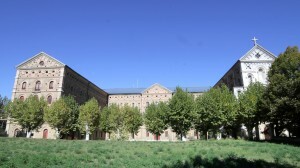 The current seminary of La Seu d’Urgell was built during the time of Bishop Josep Caixal (1853-1879), known for his conservative character and his militant support for the Carlist cause. The overspill of the old walled enclosure of La Seu d’Urgell, from the end of the 19th century, had an uneven impact on the adjoining areas. Itinerary 2 brings us closer to the city which, from the last decades of the 19th century, expanded beyond the limits of the ancient medieval town and began a period of sustained growth, occupying the western plain. 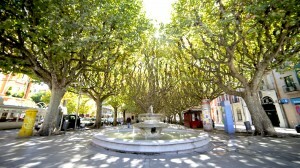 In 1830, the estimated population of La Seu was 1,313 inhabitants, a figure even lower than that of previous centuries. In 1860, however, it had already reached almost 3,000 inhabitants, a figure that it would maintain up to 1920. From that moment on the population would grow to exceed 4,000 inhabitants in 1930, 7,000 in 1960, 10,300 in 1991 and 12,000 in 2005. The successive economic drives had a more or less direct effect, contributing to population growth and urban expansion. Visiting the various areas of the modern city requires long trips, so it may be advisable to use a vehicle. However, it should be borne in mind that this is a city whose size means that covering the area over several different walks is also feasible. We start the itinerary in the Passeig Joan Brudieu which marks the point between the old town and the expansions of the 20th century. 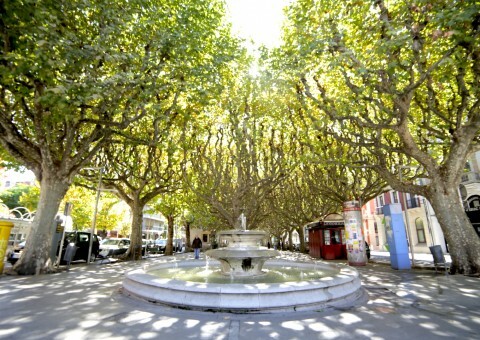 The avenue is flanked by a series of residential buildings and services that bear witness to aspirations of modern life which were concentrated in this area of the city at the beginning of the 20th century. At the beginning of the avenue is the Convent of the Sagrada Família, known in La Seu d’Urgell as ‘La Punxa’ or the thorn, due to the steep slate roof which crowns the complex, which separates this area from the terrace over the Segre River in the South. From the avenue we can explore the new part of the city which was organised according to the Expansion Plan drawn up by the architect from Lleida, Joan Bergós i Massó, in 1927 in a pioneering urban initiative for the Catalan Pyrenees. The Bergós plan defines an area of urban development of an orthogonal plan that joins the medieval town to the axis formed by Passeig Joan Brudieu and Carrer Sant Ot and which foresaw the main axis of urban expansion as being westwards towards the wide plain which opened up in this area of the city. From Passeig Joan Brudieu, and passing by the old façade of the medieval town, of which only the arrangement of the streets remain in this western section, we reach the Conciliar Seminary. This ambitious monumental building is an example of the power that the church still wielded in the19th century, in spite of the slow progression of liberalism which, in these mountainous areas, would be slow to take root. Accordingly, the bishopric of Urgell, then under the pontificate of Bishop Caixal, undertook the construction of a new seminary, of gigantic proportions, outside the walls of La Seu. In 1860 the first stone was laid. 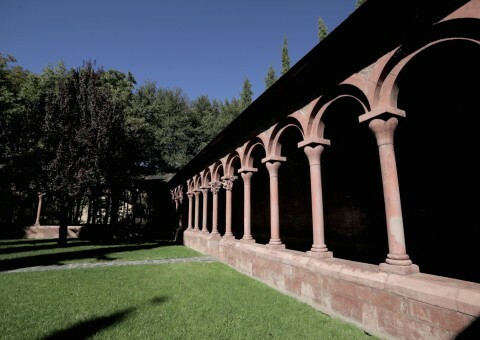 On the periphery of the new town, and next to the river Valira, we find another item of interest which is known as the Claustre de Racionero, located in the Valira Park. The park is a good example of the efforts made by the municipality to create high-quality spaces for the enjoyment and recreation of citizens in one of the areas which featured in the last expansion of the city. 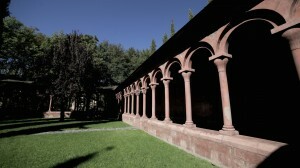 In this context, the new cloister is a unique design which seeks to bind the past and present together, not without a certain controversy, through a series of contemporary characters carved into its capitals. Having walked through the Valira Park, we continue towards the most representative area of contemporary La Seu d’Urgell: the Segre Park. The intervention and restructuring of the riverbed of the river Segre and its surroundings was due to the holding of the Olympic Games in Barcelona in 1992. 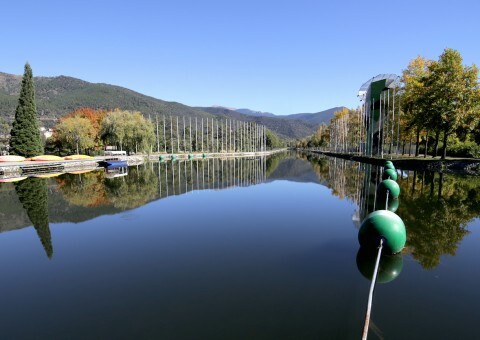 On the occasion of this event, La Seu became the stage for the white water canoeing event. The intervention, made with much thought, allowed a great facility to be incorporated in the city, as well as restructuring the river area which until then had been very difficult to manage. Halfway between the Segre and Valira parks, we find one last unique building in the expansion area of La Seu, which is the old slaughterhouse, recently converted into a civic centre. 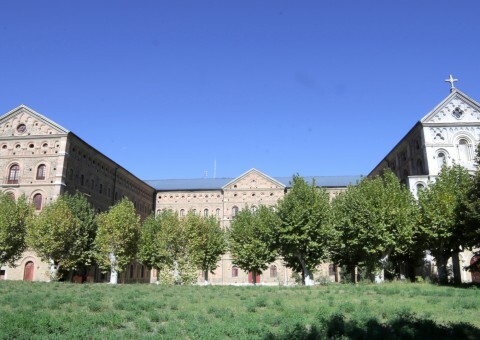 It is a work in the modernista style, designed by the architect Joan Bergós, the father of La Seu’s expansion, reacting to the process of modernisation and to the new requirements of the livestock sector in Urgell in the early 20th century. We finish this second itinerary at the Parc del Segre, bearing in mind that, from this point, it is easy to get back to Passeig Joan Budrieu.